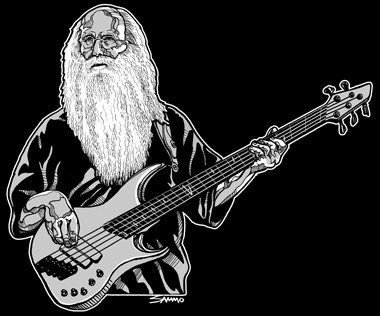 This is my drawing of bassist Leland Sklar and is part of my "Obscure Personality Portrait Series" depicting influential and interesting people many may have never heard of. 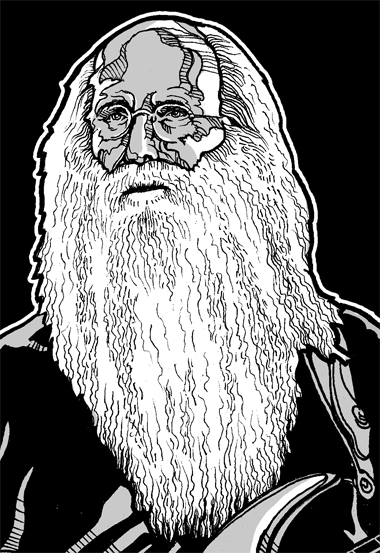 Art Specs: Hand-drawn portrait on marker paper using Sharpie and copic pens. Illustrator CS3 for typesetting. Photoshop for clean-up and gray fills/strokes and final composite.